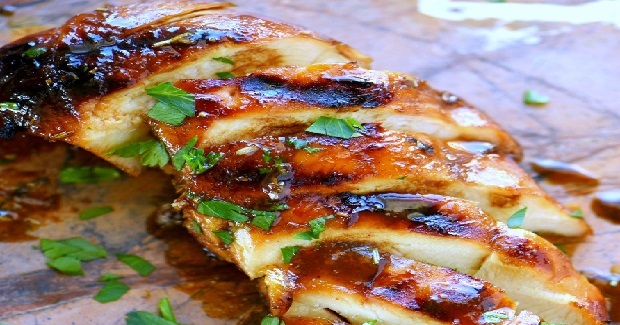 The BEST Chicken Marinade Recipe - Gutom Na! Posted on Wednesday, October 5th, 2016 at 3:42 pm. Grill chicken for 5 to 6 minutes on each side or until cooked through. Baste the chicken occasionally with the leftover marinade. If you bring the remaining marinade up to a boil, let simmer until slightly reduced, it makes a wonderful sauce to go on top of the chicken.